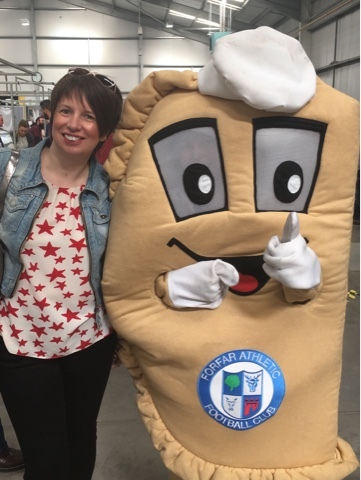 The Taste of Angus Festival 2017 enjoys the taste of success. 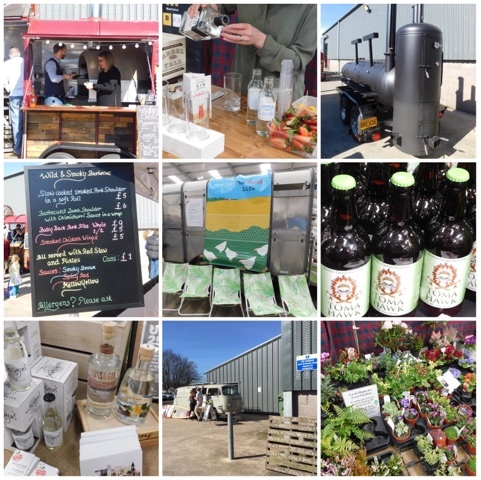 A visit to Ogilvy Potato Vodka Distillery near Glamis and The Food Life’s Spring Market and Moveable Feast in Forfar. 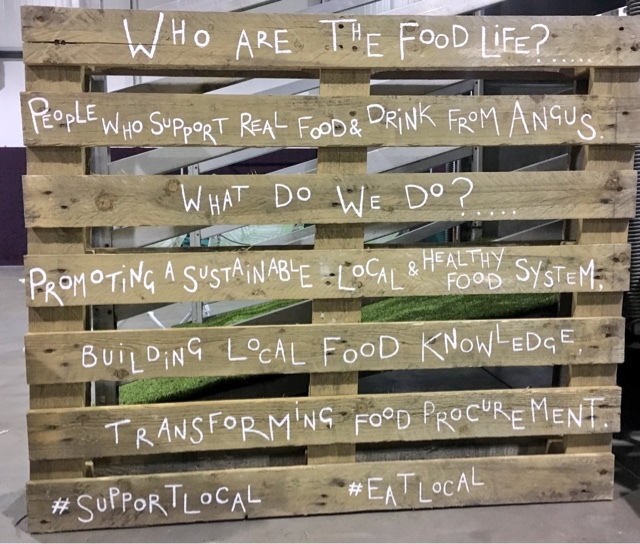 After a week of well-attended food and drinks events across Angus, the Taste of Angus Festival 2017 reached a mouthwatering finale at The Food Life Market. I was delighted to be the official blogger for the week and attended both the Vodka Distillery Tour and the Spring Market & Moveable Feast. Alas I was too slow off the mark to secure one of the coveted slots for the Friday Pizza Night at Sacred Grounds. 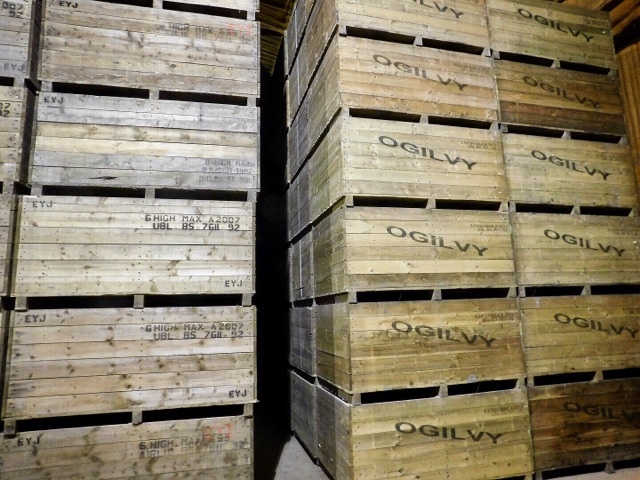 The early bird catches the pizza - however I was an early bird when it came to the quickly sold out Ogilvy Vodka tour where I joined a dozen equally intrigued others for an exclusive chance to find out about the story behind Scottish Potato Vodka. My route to Hatton of Ogilvy Farm near Glamis was almost thwarted by the AWPR roadworks however with pedal to the metal I managed to arrive only a fashionable 5 minutes late. We were hosted by husband and wife team Graeme and Caroline Jarron, owners and farmers at Ogilvy Farm who gave us a fascinating tour and a no holds barred insight into the trials and tribulations of creating Scotland's first potato vodka. In a shed stacked high with tattie boxes we learned how the need for diversification and the desire to try something new led to a seed of an idea being planted. 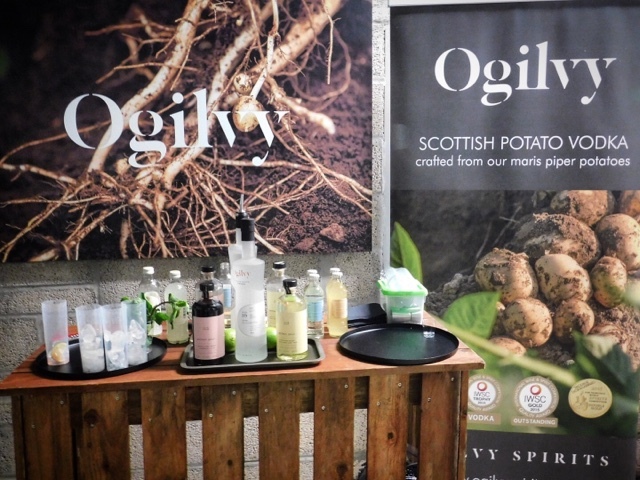 Working with boffins from Herriot Watt University, trials began using outsized but outstanding Maris Piper tatties to produce Ogilvy Vodka with production proper beginning in 2014 using tatties grown just a stone's throw from the distillery. We're talking food meters rather than food miles. Everything is done onsite, including the bottling. The first step in the process sees skin on tatties being washed before heading to Mr Mincer. Mincing them makes the starch more accessible to the enzymes which are added at the next stage. The whole of the production process prior to 'Spud the Still', takes place in what can best be described as a Willy Wonka/Heath Robinson-esque setup. Much of this was bought from eBay and includes tanks that were previously used in the Cadbury's Chocolate factory. 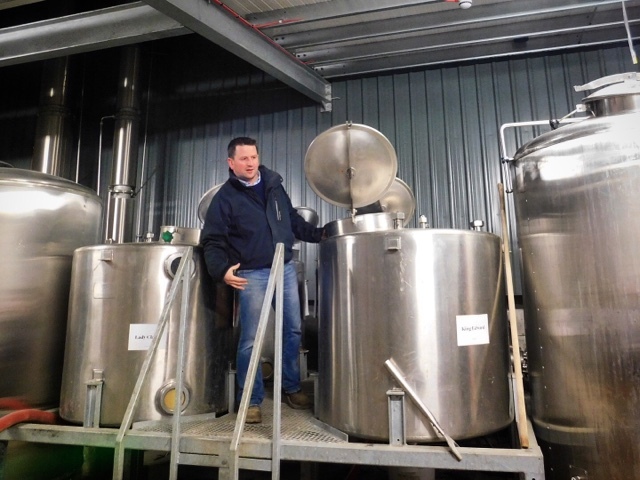 In addition to Vodka the production process also generates a by product known as Pot Ale. This contains proteins, sugars and minerals originating from the potatoes, yeast and enzymes used in the distilling process. 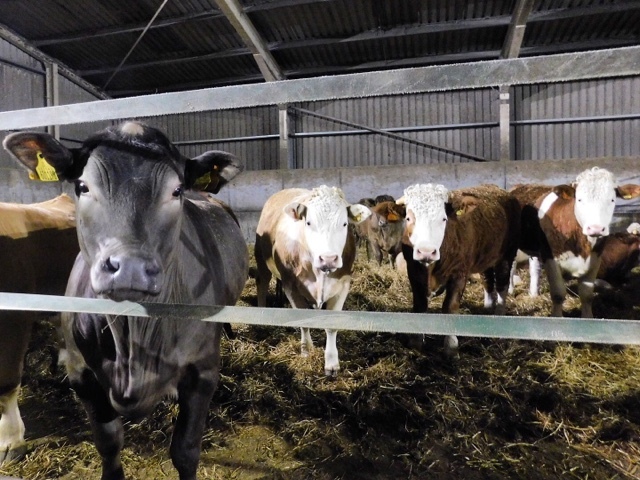 Some is recycled back into the next batch but the majority is fed to the farm's cattle as 'Coos Booze'. A highly nutritious feed which doesn't get them tipsy! Once minced, the tatties head to Mr Whistler - champion potato cooker - where they are pressure-cooked to gelatinise the starch. Next enzymes, yeast and nutrients are added to the mash, which is fermented for four to five days during which temperature and pH are constantly monitored. I was delighted to spot that one of the four fermentation tanks was called 'Lady Claire'. 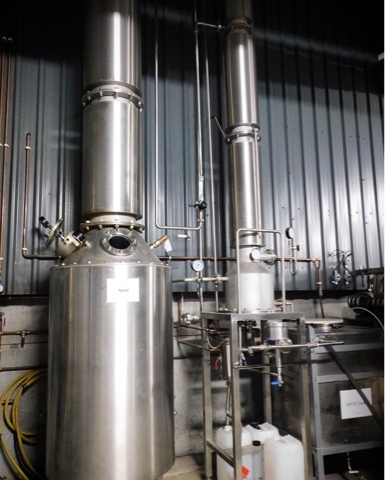 The final step of the process is undertaken by Spud - a specially designed 32 plate Carter-head Mk.II distillation column with 7m high methanol removal column. Two distillations over a relatively short 12 hour period result in an 96% ABV product. 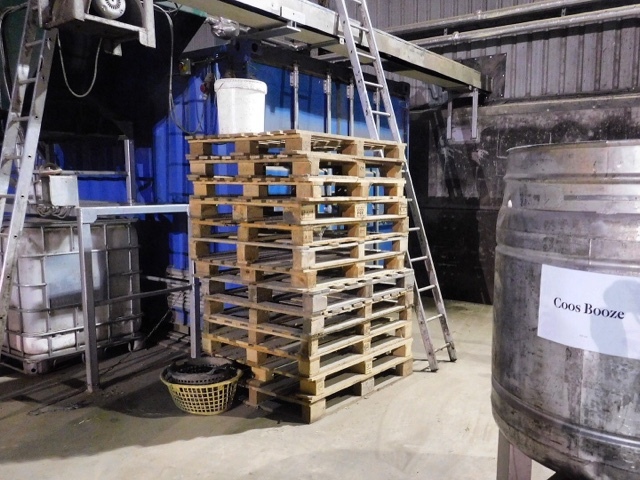 The final stage prior to bottling is charcoal filtration to produce a smooth, mellow vodka with maximum taste integrity. The tour concluded with a sampling of vodka and a new premixed cocktail rang. Alas being my own designated driver mean only nosing on this occasion. As the granddaughter of a potato farmer I'd been fascinated to learn the Ogilvy tale of Spud, Sweat and Cheers. There are plans a foot for a Distillery Visitor Centre in the not too distant future which will make a fantastic addition to food & drink tourism in Angus. 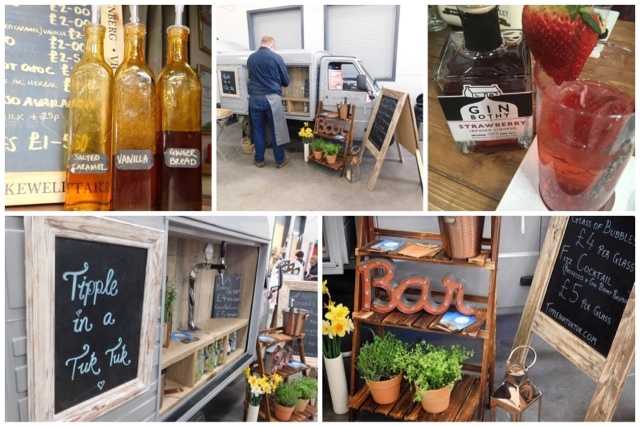 Mother's Day saw 4,000+ people from all over Angus and further afield making their way to Strathmore Hall in Forfar for The Food Life’s Spring Market and Moveable Feast. 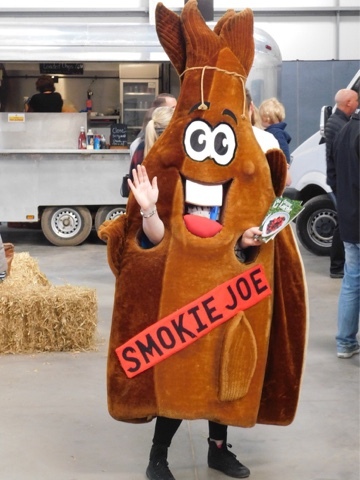 Over 40 local food and drink producers showcased their wares at the foodie extravaganza covering everything from honey, cheese, beer, fruit juice, chocolate, gin, vodka and coffee to the iconic local delicacies of Arbroath Smokies and Forfar Brides. 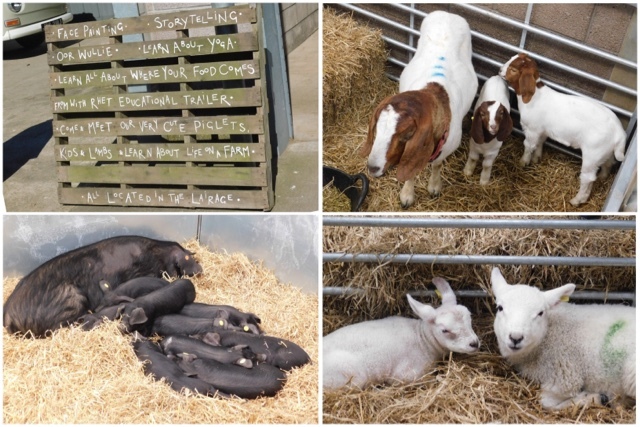 There really was something for everyone at the event with entertainment for the whole family provided by incredibly cute baby farm animals, story-tellers, face-painters, crafts, street food, yoga, gin bar, prosecco tuk tuk and a combine harvester simulator. Bearing in mind that the clocks had sprung forward and she'd lost an hours sleep my daughter hadn't exactly bounced out of bed to wish me a Happy Mothers Day and wasn't overly enthused about being dragged along to yet another food thing for Mum's work. However her attitude immediately changed when she spotted the oh so cute piglets, kids and lambs. The chance to cuddle a lamb was the 'best thing ever' and the donation to do so went to a namesake who was raising funds for her World Challenge expedition so it was a win win situation. 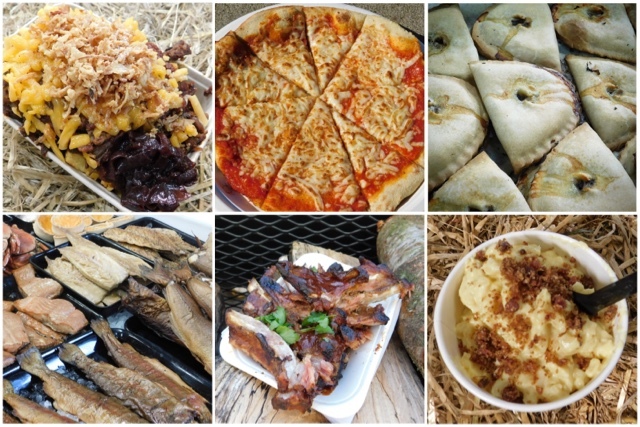 The variety of street food stalls and their bounty of gastronomic treats excited my son as much if not moreso that the cute baby animals did my daughter. Queues throughout the day were longest at Cav & Co but we got in early for a portion of Loaded Chips with Pulled Aberdeen Angus beef, homemade cherry barbecue sauce and melted cheese. Oh so good - as was the pot of Truffled Mac 'n' Cheese from Fresh Revolution. Margarita Pizza from Wild Fire Pizza followed for girl and whilst waiting for it to cook I provided details of a Scottish Mozzarella supplier. Sharing knowledge is what it's all about. Baby Back Pork Ribs were enjoyed by my son at Wild & Smoky Barbecue and as a bit of a BBQ geek he was delighted to get a wee behind the scenes tour of their Texan style reverse flow offset smoker barbecue set up. There was plenty to chose from in terms of drinks to accompany the food. Being Mother's Day it would have been rude not to have indulged in a Tipple from the Tuk Tuk. This was one of the vendors I'd been most excited about seeing. She's a gorgeous wee vehicle and I enjoyed my Fizz Cocktail so much that I came back for a second glass of Bubbles. Next stop was a delicious Strawberry Cocktail at Gin Bothy and before it all got too boozy I went next door to Procaffeinate for the best Salted Caramel Latte ever. Homemade coffee syrups are now firmly on my must make list. With full bellies, yoga stretched limbs, beer, cheese and plant purchases and a selfie with a Forfar Bridie it was time to head home. (Alas my daughter did not manage to kidnap a lamb) We'd also picked up a copy of the 3rd edition of the popular Angus Larder. This publication written and published by The List in partnership with Taste of Angus focuses on a list of 52 great foods from Angus. There are suggestions from local chefs of dishes which can be prepared using the featured ingredients and listings of where to eat, and where to buy the very best of Angus food and drink. 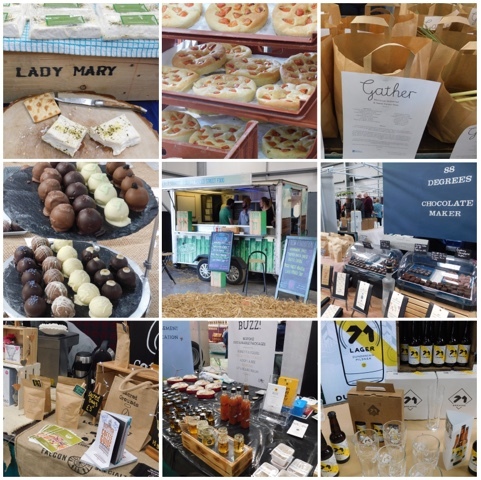 Each item is accompanied by an interesting story so readers really get to know the local producers, and appreciate the work that goes into growing, making, cooking and selling the products. Free copies of the Angus Larder will be available from a wide range of outlets across Angus, Dundee, Aberdeenshire, Perthshire and Fife. It is also available online. Disclosure: This is a commissioned post for Angus Council. As always, all views expressed are my own.